Listen to the sound corner section of that page. Interesting synth imho. It would actually be pretty nice to pair that with an SE-02 (semi-traditional monosynth) and a Micromonsta (poly VA). That combo would pretty much have you covered (except for good drums... just use with an iOS device as a sampler/groovebox) - all for under $1k with some used items. The sound examples sound great and the specs are most impressive. I don't know about those keys. I think maybe I'm about synthed out. Is it West Coast? Aside from randomization of patterns, it doesn't seem to have the "unpredictability" like the West Coast stuff. But could be I don't know what I'm talking about... I was eyeing it and trying to decide between getting it or the Korg Volca Modular. A collaboration with Mutable Instruments! Multi-synthesis engines from Plaits Eurorack module, 64-step sequencer with 4 automation lanes, MPE keyboard with USB and MIDI out. CV/Gate/Mod out. 12" x 9" 2". $350. Amazing. Well, no... not exactly Buchla patterned. Though the keys look Music Easel-y. I was just wondering about Arturia doing something a little more experimental, or whatever. Very surprised. MPE polyphonic aftertouch. Sweet! Well, no... not exactly Buchla patterned. Though the keys look Music Easel-y. I was just wondering about Arturia doing something a little more experimental, or whatever. Very surprised. There's some controversy going on about MI's "involvement". The MI oscillators that Arturia are using are apparently open source, but MI wasn't consulted and didn't truly collaborate, despite the marketing. Arturia did call one of the main MI folks over to Arturia HQ when the MicroFreak was pretty much completed to show it to them, but MI didn't really have any input in the synth. "Shady" is the word I'm seeing used to describe the language and marketing, but it's technically not illegal, from what "everyone" is saying. Hot damn, that's not good Arturia. All these Eurorack modules recently with Olivier's open source code...wait wtf...who is Émilie? I thought MI was Olivier Gillet??? I’m not sure. Apparently recognized on r/synthesizers as MI, and the MI Github uses their name. That's not how it should be imo. Using the open source code of Mutable Instruments is something different than real cooperation. Oh, 'pichenettes' is his her long-time handle on the forums. It's like Paul Maddox became Paula Maddox. Or Walter Carlos became Wendy Carlos. All geniuses. Back to topic: So Arturia used MI's open-source code without consulting MI first, then claim that it was a collaboration. I think the lying part is the worst. Even though a lot of new people are making and selling Eurorack modules from their basements and garages using MI's code, Arturia is a big company. Seems like a nice synth. But a guy twisting knob really doesn’t sell things for me. Damn ethical dilemma as a buyer. $350. 12" x 9" x 2" with MPE keyboard with USB Out. Perfect companion for driving an iPad and for sample fodder. West Coast elements: Slewed random as LFO waveform. Rise+Fall Function Generator. Some of the Plaits synth engines have integrated LPGs, wavefolders, etc. East Coast elements: Multi-Mode resonant analog filter, regular ADSR, SH101-style 64-step sequencer with 4 automation lanes, etc. 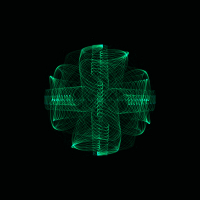 The multi-synthesis engines in Plaits is like a Global Coast engine covering all the bases. I’ll have it day one. Looks to be very capable and priced very nice. Shadiness aside, I’m poor and this looks to fill several gaps in my hardware setup. Karplus Strong......squeeeeeee!!!! Whoops! Didn’t know the details, if that is indeed what is going on. Hope things get smoothed out. Thanks for the skuttlebut. Always interesting around NAMM. I keep throwing money at the screen. Nothing is happening. Ok, it’s nickels and dimes... that’s all that was in the couch cushions. Sounds a little like Arturia felt they needed to compete with Roland + Studio Electronics or something. THAT was actually a collaboration (not necessarily equal, since Roland was doing the manufacturing, but still collaborative) from everything I've read. I'm glad I don't own any Arturia products, though. Kinda slimy. First the minilogue xd, now this. Looks like 2019 is going to be an extremely fun year for affordable yet extremely powerful hw synths. From Emilie at mutable Instruments clarifying his part in its conception. 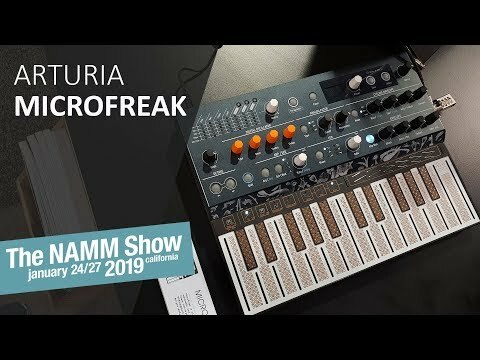 There is a lot of noise on the internet regarding the Arturia Microfreak. Let me clarify a couple of things. First of all, Plaits’ code is open-source, which means that anybody is free to use it, as long as they credit me somewhere (it can be in a product description page, or a footnote in a downloadable manual, or an “about” dialog). This is why you can find Mutable Instruments’ DSP code in the Korg Prologue, the Axoloti, the Organelle, VCV Rack, and plenty of other bits of software or hardware. This is not stealing. Plaits’ code is a summary of everything I’ve learnt about making rich and balanced sound sources controlled by a few parameters, it’s for everyone to enjoy. Arturia had been in the process of developing a hybrid synth for a while, and contacted me about using some of Plaits’ code inside. I had no objection to that. In May, they invited me to their headquarters for a product development meeting where they showed me mockups of the Microfreak. It was fairly clear at this point that it was their product. The feature set, UX, sound engine were all already set in stone. The product obviously followed Arturia’s design language and branding. My expected contribution to the project was none: Arturia’s engineers would do their own thing with my code, the tone character and sound design was their responsibility. It was pointless for me to suggest features and ideas, or spill the beans about ideas I wanted to keep for upcoming Mutable Instruments products, and this awkward event felt more like a focus group. Arturia offered to mention something like “Oscillator code from Mutable Instruments” in the product description, which is my preferred form of citation. No monetary compensation has ever been discussed – which is fair, because I provided exactly 0 hour of work and 0 original line of code. No contract has been drafted or signed. Arturia contacted me back last week with a photo of the finished product. I never had the opportunity to playtest it. I have not been asked to approve or veto any promotional material. As you can see, my involvement was fairly limited. I don’t feel wronged. It’s their product. However, I feel uneasy when people got excited, seeing it described as a collaboration between Mutable Instruments and Arturia, because none of the technical and design choices involved in this product originate from me. I have been quite disconcerted by the private messages congratulating me for this release and achievement. I know some people have been waiting for a Mutable Instruments keyboard synth, or at least non-modular product, for a while. Well, this is not it. That’s what I wanted to say to the world. I don’t want people to associate any negative experience they could have with this product with Mutable Instruments. I don’t want people to think that I endorsed or at least authorized some aesthetic decisions regarding this product or the communication surrounding it. With its focus on local production, open-source, deliberate lack of marketing and advertising, Mutable Instruments is an unusual company. It’s stimulating and fun, but somewhat dangerous too. Turning Arturia into an enemy – those talks of boycotts and those tweets demanding justice – is only adding fuel to the fire and increasing the risks of getting me attacked in ways I don’t expect and I am not protected against. If you care about me, move on! I need a lot of strength and energy at the moment, and it should all be focused on finishing new products. So please let Arturia enjoy their release party, it’s hard work to ship a product. Buy their product if you think you’ll have fun and make good music with it, don’t buy otherwise. Buy Mutable Instruments products (or the Softube clones) if you want to fund me, or build your own and give the money to charities. Maybe they should also make a press release about it so that there can't be any more confusion about how and what. I think if there’s enough push back from the user community, Arturia will revise their PR efforts about this issue further. To be fair, Arturia may have thought they were doing MI a favor by using collaboration rather than saying they were using mutable instruments open source code, maybe not. In any case, they’ve adjusted their website to conform to address MI’s concerns and in the future hopefully they’ll do a better job of establishing collaboration before marketing their products. Just a quick question... Do i get it right that I will be getting a cool hybrid synth machine with an integrated MPE midi controller for my iPad for the price less than a Roli seaboard? Yes but I'm not sure if you'll get all of the directional bits of a Roli with this one.